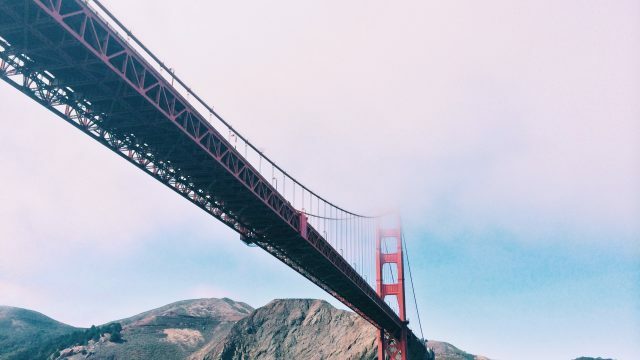 The great city of San Francisco is best known for the Golden Gate Bridge, Alcatraz, and Lombard Street, but there is much more to the city than just a bridge, a prison, and a steep road. San Francisco has a long history of vibrant creativity and cultural diversity, and it could be the place for the best day ever this summer with ILSC Junior Camps. Did you know the Chinese fortune cookie was invented in San Francisco by a Japanese man? People can be creative anywhere but there’s something about San Francisco that attracts people with good ideas. The Academy of Art University in San Francisco is the biggest art and design school in the United States with more than 13,000 students. The University of California also has campuses in San Francisco and across the Bay in Berkeley, making San Francisco a great for students with big ideas. It’s likely most people who haven’t visited San Francisco have already seen a lot of the city. Fisherman’s Wharf, Land’s End, and of course the Golden Gate Bridge, are all American icons located in San Francisco. Junior English campers studying in San Francisco will get to visit all three larger-than-life locations to hang out, practice English, and take a few (hundred) selfies. Don’t forget San Francisco’s famous cable cars—the only National Historical Monument that moves! San Francisco has a long history of diversity with large populations of both Latino and Asian Americans. In fact, the city was officially part of Mexico until 1848. Today you’re sure to see the influence of generations East Asian immigrants, especially in the Chinatown districts. San Francisco’s Chinatown is the oldest in North America and is also the biggest Chinese community outside of Asia. If you’ve always wanted to visit East Asia, San Francisco may be next best thing—and you can learn English at the same time! But there’s more than Chinese-American culture in San Francisco. The city is also home to one of the last Japantowns in the USA. Are you interested in an unforgettable summer English experience? Learn, play, and explore with students from around the world with any of ILSC’s Junior Programs. Get ready for your best day ever!